MASSiF thanks Main St Diner! Our hard working bands are gonna love going to our Friend’s place, Main Street Diner, for dibs on classic lunch fare. Main Street is giving our bands great deals on their food all weekend! They’ve got super tasty sandwiches and fries, but the fish n’chips are where it’s at! And it’s right across the street from Eagles Lodge! MASSiF thanks Canadian Garden Supply! Our Friends are making us see green! Thanks to Canadian Garden Supply for jumping in with our Massif Festival crew. It’s a pretty perfect fit! Find them whatever you need to keep your green fresh and your gardening glorious at 1730 Hwy 3. 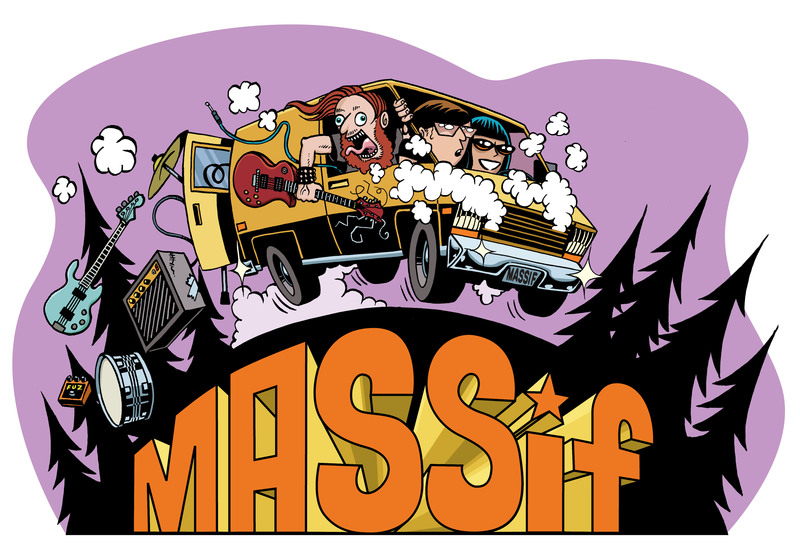 Massif2018 is presented by Tribute and Nelson Brewing Company. MASSiF thanks Leaf Health Society! One of Leaf Health Society‘s main goals is to continuously work toward enriching our community–and Massif must admit, that’s our goal, too. If you’re looking for medicinal herbs, please support the purveyors who support us! Find them at 358 Baker St.